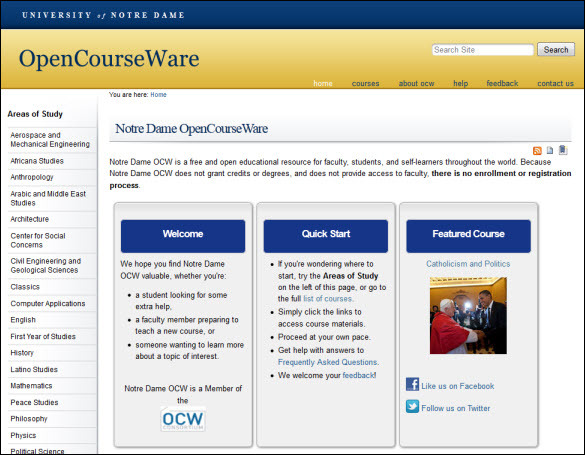 Today, seventy resources from UCI Open was added to the open educational resource series collection in the NCLOR. The University of California, Irvine’s UCI Open is a web-based repository of various UC Irvine courses and video lectures from UC Irvine faculty, seminar participants, and instructional staff. While the great majority of courses are drawn from graduate, undergraduate, and continuing education programs, some were originally produced under grant funding to serve specific needs in California and elsewhere. UCI Open is open and available to the world for free. The resources added in this series are complete courses that include materials such as; lecture videos, presentations, handouts, and practice assessments. The course resources in this series are from disciplines that include: Arts, Biological Sciences, Education, Engineering, Health Sciences, Humanities, Physical Sciences, Social Ecology, and Social Sciences. Example: General Chemistry 1A. Lecture 01. 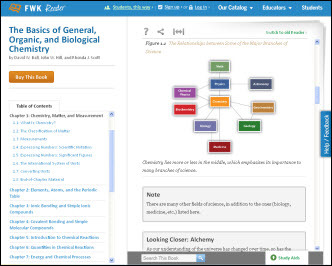 Introduction to General Chemistry. Brindley, Amanda UCIrvine. The list below shows the number of courses in each subject area included in the series. The NCCCS courses that these resources may supplement are; ASM111, AST152, BIO092, BIO145, BUS225, CHM090, CHM131, CHM132, CHM135, CHM151, CHM152, CHM251, CHM252, CHM271, CIV250, DMA065, ECO251, ECO252, EDU216, EDU280, EGR111, ENV110, ENV120, ENV222, ENV255, HIS121, HIS221, HIS222, HIS223, MAT142, MAT152, MAT171, MAT172, MAT252, MAT263, MEC261, MEC265, MEC267, MUS111, NAN112, PHY110, PHY121, PHY122, PHY131, PHY252, POL110, POL220, PSY150, and SOC250. Since these resources are open, you can access the series via Guest Access here: UCI Open or log into the NCLOR and click on the More button on the left menu bar. Then click the Resource Series link and then click the UCI Open – University of California, Irvine link.